Royal Vacuum Cleaners is one of the oldest vacuum cleaner manufacturing companies that has been building a range of outstanding machines since 1905. It grew tremendously under the flagship of P.A. Geier Company and in 1953 it was bought over by an investment group, the Walter E. Schott Organization. They renamed it as Royal Appliance Manufacturing. With a legacy of over 100 years, it is not surprising that the company is known for producing the finest range of vacuum cleaners and it continues to build strong and sturdy residential and commercial cleaners. 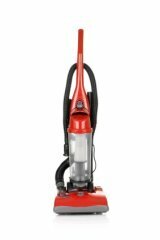 This line of upright vacuum cleaners is known for their easy maneuverability and includes advanced features such as HEPA filtration and sturdy metal handles. RY9700 and RY9750 are the two models under this series. 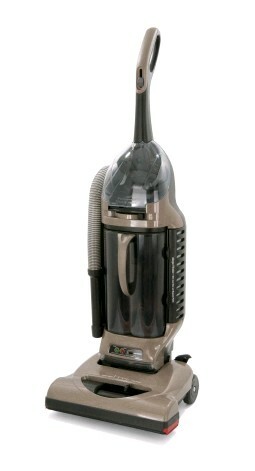 The Royal Privilege Vacuum This particular series is known for its center airflow design and is hailed as one of the best cleaning bypass vacuums amid its peers. Model No. MRY7500 is known for possessing a powerful 12-amp air motor a five-stage HEPE filtration system. Royal Vacuum Lexon Canisters The Royal Lexon line of canisters is packed with exceptional features that will surely impress you with its cleaning powers. SR30010 - Lexon S10, SR30015 - Lexon S15 and Model SR30020 - Lexon S20 are the three models under this series. Royal Vacuum Procision Cannisters This series includes one mode i.e. MRY3050, which is particularly known for its integrated set of on-board accessories and a full size power nozzle. 3. Royal Carpet Extractors Featuring a unique agitation system, this specially designed carpet extractor cleaner can remove even the most stubborn dirt particles. MRY7910 is the model that comes under this category. 4. Royal Central Vacuums This type of Royal Vacuum Cleaners come with a wide range of accessories that are ideal to clean all types of carpet and floor types. There are four models under this category – CS400, CS620, CS820 and CS1200. Each of the models under this category come with either a 14” or 18” bell-shaped nozzle and a revolving brush. The various models under this category include M1018Z, M1028Z, M1030Z, M1058Z and M1059Z. The standard upright vacuum cleaners ensure your commercial units always enjoy improved indoor air quality with its superior levels of filtration. The models available include CR50005, MRY6100, MRY6500, MRY6900 and MRY5300. This is an efficient and ergonomic backpack vacuum that features a patented Hypercone Technology meant to deliver optimum cleaning power. MRY4001 is one of the models under this series. MRY7940 is the model that is available under this type of vacuum cleaner and is perfect to clean all types of stubborn stains and dirt. It includes a host of features such as dual suction nozzles, revolving brushes and on-board tools. This type of Royal Vacuum Cleaners feature quiet rotary action and are ideal to clean different types of surfaces, carpets, linoleum, tiles and hardwood floors. The models available are M090 and MRY8447.